Thursday March 1st and Saturday March 17th from 7:30 am to 10:30 am. 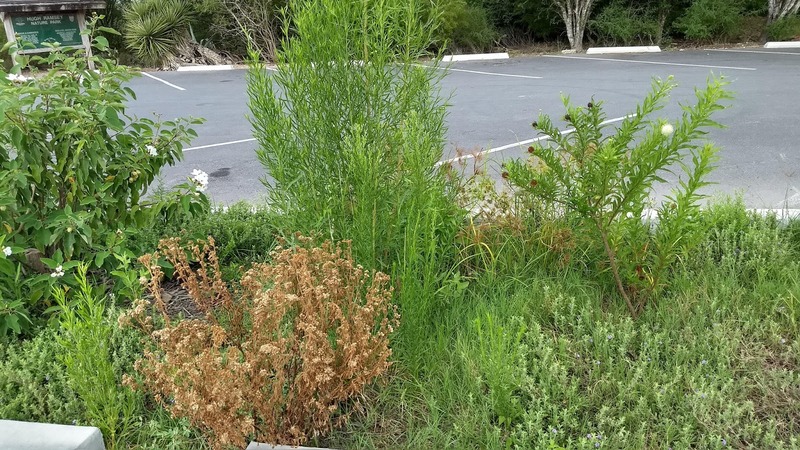 weeds are beginning to crowd out the native plants such as the rare Mexican Button Bush shown here. Come on out and get your early morning exercise, ice, cold watermelon provided to quench your thirst and replenish fluids. There is not much going on at Ramsey Park with the summer heat. Volunteers have been weeding and watering just trying to keep the plants alive. 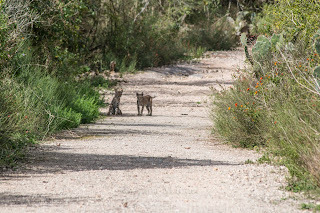 The bobcats have been seen on a regular basis to the delight of all. I saw two armadillos a few days ago. They were busy rooting around in the leaf litter looking for something to eat. They were the first ones I had seen in a while. I have not heard of any unusual birds in the park. Just the local resident birds. However there seems to be more pauraques than in the past few years. They must have had a successful nesting season. There has not been a great variety of butterflies yet either. 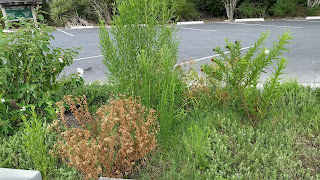 I suppose it is due to the dry weather and few flowering plants. There does seem to be quite a large number of Mexican Bluewings however. 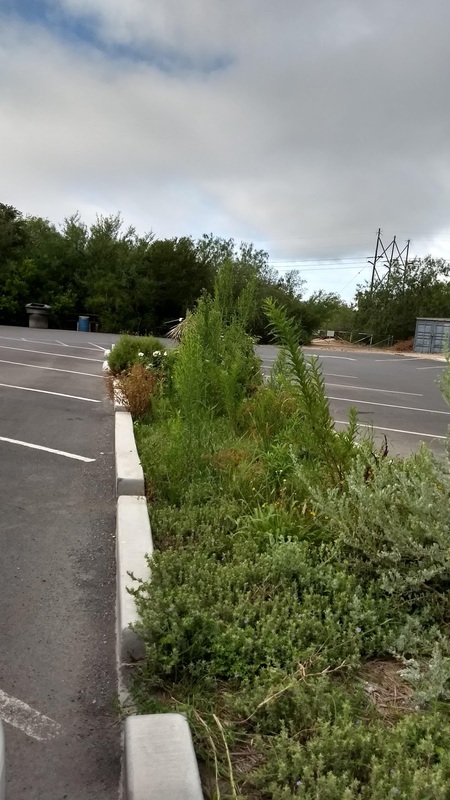 The bio retention basin and parking lot is finally complete and hopefully the ponds will be finished soon as well.